John Grayson reveals the spread of corporate involvement in the provision of asylum housing in the UK and northern Europe, and how outsourcing and private companies are tarnishing Europe’s ‘welcome’ to refugees. A couple of weeks ago I was talking to two families in G4S housing in Sheffield who arrived in the UK in September last year. 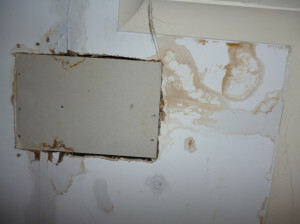 One family from Africa with three children had spent three months in a house infested with mice, with a steady leak from their bathroom through their kitchen ceiling a few inches from their dining table. 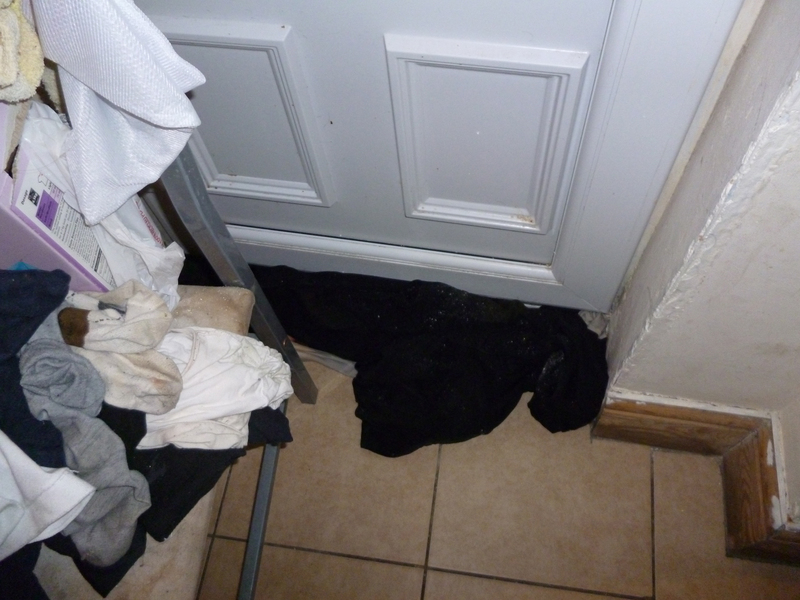 The other family comprised a lone mother and four children from the Middle East in a house with water coming in through the front and back doors when it rained, and with not even a working cooker. For the past three months other asylum seekers had taken cooked food to the house. In Doncaster a volunteer group had followed up on young asylum seekers they had met in the Calais and Dunkirk camps – they found them in a G4S house, with no heating except for three portable heaters for nine people in shared rooms. None of them had any winter clothes. One of the young men was an unaccompanied 17-year-old who should not have been in a G4S house at all. This is what the privatised and outsourced ‘reception policy’ of the UK government looks like in January 2016. G4S, the world’s largest private security company, over the past months has been given by the British taxpayer around £4,000 for each of these Sheffield houses. For housing the nine young men in Doncaster, forcing them to share rooms, G4S can expect to get around £30,000 over the next twelve months. Andrew Norfolk recently described in the Times how G4S and its subcontractor in the north-east of England, Jomast Development, painted the doors of asylum seekers’ housing red, which has meant attacks, insults, and far-right targeting – a situation which Norfolk calls ‘Apartheid on the streets of Britain’. In 2012 the UK Home Office awarded its largest ever contract, of over £600 million, for asylum housing to three private security companies (PSCs) – the international corporations G4S and Serco and the smaller Reliance company. Contracting international PSCs like G4S and Serco to extend their interests from detention centres and deportation escorting in the UK to ‘low security accommodation’ or asylum housing in 2012 continued a policy of outsourcing in the UK’s asylum reception and detention system first established in 1971 when a Conservative government invited G4S (then called Securicor) to manage detention facilities at Harmondsworth, near Heathrow in London and at Manchester airport. The outsourcing and privatising of detention centres predated, and led the way for, the emergence of the UK private prison estate, itself the first in Europe. 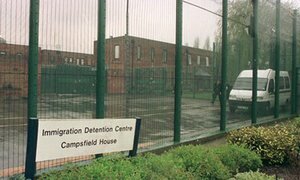 In 1991, G4S (then Group 4 Securitas) won the contract to run Campsfield, then a youth detention facility, as an immigration detention centre (it opened in November 1993). It also managed two offshore detention centres in Coquelles and Calais. By 2011, in the UK 80 per cent of the 3,034 people in immigration detention centres were privately detained, and from January 2013, most people in asylum housing, or ‘low security accommodation’, were living in properties outsourced to PSCs. The 2012 contract finally got rid of the notion that local councils in the UK (which had always controlled asylum housing contracts) had an obligation to offer, as the Barnsley Council website put it at the time, ‘humanitarian housing for those fleeing persecution’. From then on asylum markets prevailed. Despite recent reports that outsourcers running UK immigration centres are losing money, one of the newer entrants to the UK detention centre markets, Mitie, which manages the controversial Harmondsworth and Colnbrook centres, in August 2015 reported an increase in annual profits which its director attributed to the new contracts. The Home Office is paying Mitie £180 million over an eight-year contract to run these centres. Certainly Rupert Soames, grandson of Winston Churchill and CEO of Serco, believes that privatisation is profitable. In June 2015 he told Radio 4‘s The Bottom Line that the new market ‘makes Britain now to public service provision what Silicon Valley is to IT’. Serco grabbed the chance to extend its contract for the controversial and scandal-hit Yarl’s Wood detention centre for another seven years in 2014. 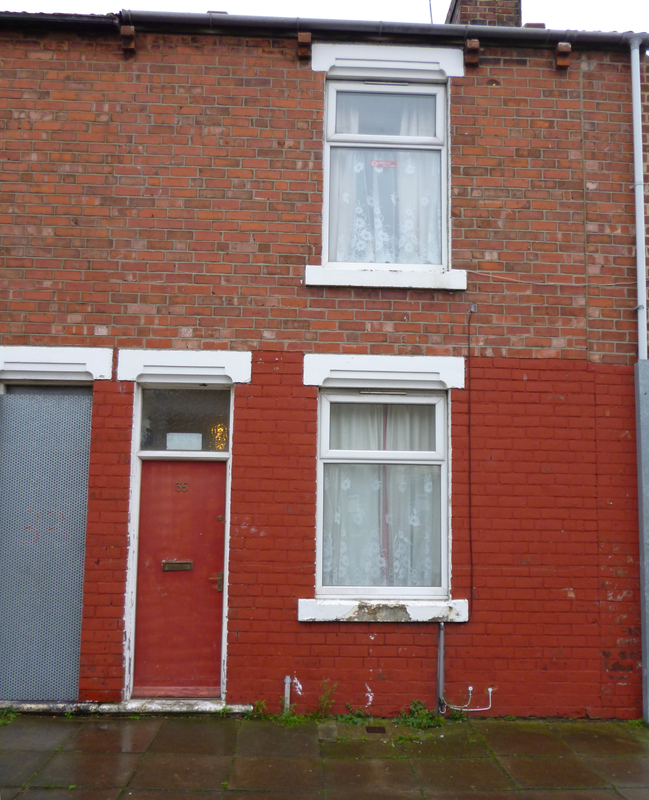 Jomast, the G4S asylum housing contractor for the ‘red doors’ properties in the north-east of England, is estimated to be due to receive £8 million over the next year from public funds for housing 2,646 asylum seekers. Stuart Monk, head of the family firm, has a personal fortune of £175 million. When Monk appeared before the parliamentary Home Affairs Committee on 21 January he defended his business, saying that he was supplying a ‘product suitable for an asylum seeker’. Two weeks later, on 9 February, the committee grilled James Vyvyan-Robinson, managing director of Clearsprings, a company which entered the asylum housing business with its partner Reliance Security in 2012 with a £75 million contract for the south of the UK and Wales. The company had been exposed as forcing asylum seekers to wear red wristbands to get food in its centre in Cardiff. Vyvyan-Robinson admitted that his salary was over £200,000 despite the ‘small amount’ the company made on the contracts. Graham King, the founder and chairman of Clearsprings, had taken £960,000 from the company in the last financial year. Vyvyan-Robinson had been with Clearsprings for ten years, before which he served as director of business development for Group4 Securicor (G4S). Chukka Umunna, MP for Streatham, observed that many people would see asylum contracts as a ‘bit of a racket’. The UK model of outsourcing has over the last few years been eagerly followed by international companies in what Daniel Trilling has recently called ‘Europe’s Migration Industrial Complex’ and the Wall Street Journal has called ‘Refugees Inc.’ (Download a pdf of the article here 46kb.) G4S extended its detention market to the centre at Schiphol airport in the Netherlands which it managed from 2003 to 2013. Despite poor safety conditions there and the death of eleven inmates in a fire in October 2005, G4S was given a six-year extension to its original contract in 2007. With the recent massive increase in refugee numbers across Europe, EU reception policies for asylum seekers and refugees are currently in total chaos, with widely differing national policies on asylum and migration. 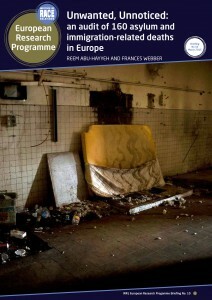 The large numbers of refugees entering countries like Austria, Germany, Denmark, Sweden and Norway have exposed the fact that reception and detention centres and refugee housing have increasingly been outsourced by national governments to international companies and corporations, creating a growing asylum market and even secondary markets where reception and detention centres are being sold on in global markets. In Scandinavia, as the welfare state has been shrunk, the private sector has moved in. Already in 2012 Göran Dahlgren, a former head civil servant at the Swedish department of health, said that ‘almost all welfare services are now owned by private equity firms’. Sweden’s outsourcing of health and welfare had produced the largest outsourcing market in Europe relative to the size of its economy, with deals worth almost £3 billion agreed in 2012, mainly in healthcare in what had been one of the world’s most socialised medical systems. Private equity firms are now buying and selling not only health centres and hospitals but detention centres and asylum housing across the region, and the market is linked to the integrated outsourcing market which G4S exploits in the UK. The origins of G4S are rooted in the Danish international corporation Falck A/S, which provides private security and safety services and health-related services. Falck in Denmark currently controls 65 per cent of municipality fire brigades and 85 per cent of ambulance services, and is the largest private ambulance company in Europe with contracts across seven countries. Falck had 35,000 employees across the world in 2014. Falck was the company which developed ISS Facilities and then launched G4S (Group 4 Securicor) on the world through a series of mergers and takeovers. It had separated itself from both ISS and G4S by the late 1990s. G4S had already started to launch into global security, prison and asylum markets and currently is the world’s largest private security company with over 600,000 employees. ISS Facilities has become a global corporation with 500,000 employees worldwide, 47,000 of them in the UK Most of its contracts in facilities management, cleaning and catering are in the private sector but in recent years it has exploited the growing market in state privatisation and outsourcing. Until recently ISS Facilities owned Hero Norge AS and controlled the expanding Norwegian and Danish asylum markets. In 1990, only 12 per cent of Norway’s asylum centres were private; in 2013, 77 per cent were private. In 2012 Hero Norge received around £38 million from Norway’s Directorate of Immigration for managing asylum reception centres and posted profits of around £4 million. In 2015 the Norwegian company managed 75 detention centres in Norway and Denmark. ISS Facilities then sold the company and its asylum market contracts on to the Adolfsen Group, major players in the Norwegian private healthcare market. In the UK ISS Facilities, alongside its private sector contracts, currently provides hospital food, school meals, and catering and post offices on RAF bases. In March 2015 ISS started a contract to provide hospital meals in Rotherham in South Yorkshire, where G4S has the asylum housing contract. In nearby Barnsley in 2014 G4S, alongside its asylum housing contract for 450 asylum seekers, began an £11 million cleaning contract for Barnsley hospitals. G4S’s integration of security, prisons and asylum markets with healthcare, welfare and housing markets is well advanced in the UK. It is already established in prison healthcare, ‘forensic and medical services’. By 2013 G4S boasted that it provided ‘services to around 200 hospitals and healthcare centres in the UK alone’. G4S in 2014 was awarded £23 million contracts by the NHS in detention centres it already managed – Brook House, Tinsley House at Gatwick, and the Cedars – but also at Serco’s Yarl’s Wood detention centre and at Mitie’s Campsfield centre near Oxford. Since outsourcing legislation in 2010, Sweden has had private companies taking over the asylum and reception system. 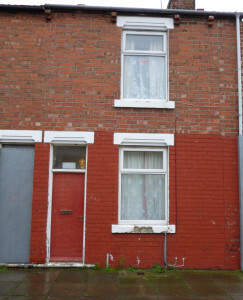 In the UK in the asylum housing market the picture is one of private landlords and private housing companies making excessive profits from asylum tenants’ poor quality and overcrowded properties. 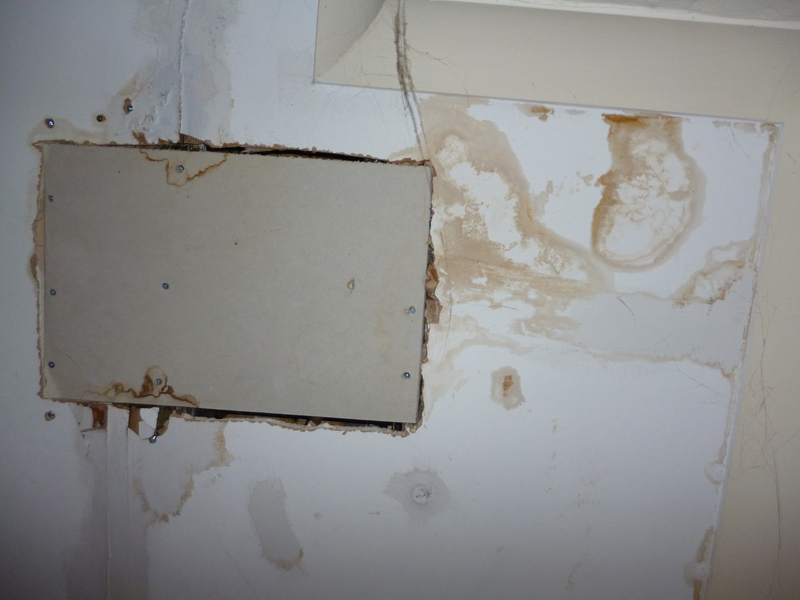 Throughout 2014 and 2015 a similar pattern has developed in Sweden, with large profits being linked to extremely poor housing conditions for refugees, with examples of ‘mould and bedbugs’. The Swedish migration agency believes housing for asylum seekers will cost 3 billion Swedish krona (SEK), around £242.5 million, in 2015, not including the cost of looking after unaccompanied children. When Swedish Television reviewed 2014 financial reports from companies involved in housing refugees, they found examples of extremely large profit margins. In some cases, more than half of the money received by some private companies from the taxpayer ended up as profits for the same companies. In the first eight months of 2015, the government paid out 894 million Swedish krona (around £74 million) to fifty different companies for housing including Attendo, Aleris, Individia, Jokarjo, Positivum, Steget Vidare and Vardaga. A number of these companies are owned by private equity firms that have branched out after two decades of profiting from Sweden’s privatised residential care and health care market, all financed from public funds and tax revenue. The largest contract went to the Jokarjo company, owned by Bert Karlsson, a Swedish pop music tycoon and the founder of the now defunct anti-immigration New Democracy party, who was paid 170 million Swedish krona, £13.7 million, in the first six months of the year to house 5,000 refugees at thirty different sites. Another major provider is Aleris, a healthcare provider owned by the powerful Wallenberg family’s investment vehicle Invester AB, which operates six centres for unaccompanied children. One of these centres is in Mölndal in the southern city of Gothenburg, which costs taxpayers 60,000 krona (£4,846) per head per month. In spring 2015 the newspaper Expressen launched an investigation into the affairs of other private companies that leased out the apartments in Mölndal. The investigation revealed that Caremore Migration AB charged the highest prices, earning 68,850 krona (around £5,564) per one-room apartment per month. Caremore’s profits had increased by 338 per cent in just one year, from 1.9 million krona (£153,543) in 2013 to 8.5 million krona (£686,840) in 2014. Despite its exorbitant prices, the contract with the company was renewed. Germany opened its borders to around 1.1 million refugees in 2015, but the country has a patchy past record on its reception policies. In the past Germany has been criticised by the European Court of Justice for its use of prisons to detain migrants. Private prisons and reception centres have been controversial in the past. UK-based Serco has run private prisons in Germany but not immigration detention and reception centres. The financial daily Handelsblatt pointed out in August 2015 that ‘An entire refugee industry has emerged that helps the government cope with this massive onslaught, at least to some degree.’ The German Interior Ministry estimates that each refugee ‘costs’ taxpayers between €12,000 and €14,000 a year. The ministry in 2015 estimated that the government and state governments could incur costs of between €11 billion and €14 billion for 900,000 refugees. In February 2016 for the federal government alone the cost was estimated at €55 billion over the next four years. The government’s ‘costs’ of course translate into profits for the refugee industry. Yet the majority of the refugee accommodation is inadequate, much of it in tents. In Berlin the company SOWO/Tamajahas developed a ‘container settlement’ housing 300 asylum seekers and has taken over aircraft hangars at the disused Templehof airfield for a further 1,500 people. The German newspaper Der Spiegel in October 2014 spoke of ‘a grim choreography‘ unfolding in reception centres across the country, with ‘horrific images from a German asylum home (which) have recently focused attention on the country’s broken system for sheltering refugees …and even (on) the use of right-wing extremists as guards’. These images were from a ‘refugee shelter’ or hostel run by the private company European Homecare and a private security company, SKI. The images showed a SKI guard with a neo-Nazi tattoo with his foot on the neck of a handcuffed refugee. European Homecare, after more than twenty-five years of experience in the refugee business, saw its revenues suddenly increase in 2013 by almost 80 per cent, from €16.7 million to €30 million. In 2014 revenue had risen to €55 million. Providing housing for thousands of refugees in more than fifty accommodation and reception centres provides European Homecare with a sixty-six per cent return on equity, an almost unimaginable percentage for most German corporations and mid-sized companies. A European Homecare spokesman told financial daily Handelsblatt: ‘European Homecare is the Aldi among providers’. European Homecare from 2013 was paid each year €4,081 per bed by its state and local government clients, and spent an average of only €1,400 on staffing costs per hostel bed. Other international players like the Swiss company ORS Service AG are also expanding into Germany. ORS in 2015 had five reception centres in Munich. ORS Service is based in Zurich in Switzerland and was set up as a private company to work with the Swiss federal government from 1991 to house asylum seekers. For twenty years, through to 2011, although the contract should have been retendered every five years the Swiss government did not put the contract out to tender. In 2011 ORS Service outbid European Homecare for the federal contract in Austria for reception centres under the responsibility of the ministry of interior. By the end of 2014, they were providing twelve reception centres including tent camps in Salzburg and Linz and being paid around 22 million euros by the federal government. ORS runs Austria’s main initial reception centre in the town of Traiskirchen, near Vienna, which was designed for around 1700 refugees. By the summer of 2015 over 3,000 refugees were living there, Amnesty International called the ORS camp ‘shameful’, with 1,500 people forced to sleep outside on lawns and nearby roads. On its home territory ORS Service works in partnership with the Swiss Securitas private security company in delivering a very controversial reception and accommodation policy which has included remote locations and housing asylum seekers underground in wartime military bunkers. Reception and detention policies have been influenced by Swiss politics which over the past few years have been dominated by the anti-immigrant Swiss People’s Party (UDC) which has become the largest party at the federal level. Currently refugees arriving in Switzerland have to turn over to the state any assets worth more than 1,000 Swiss francs (£690) to help pay for their upkeep, a practice that has drawn sharp rebukes for Denmark. ORS Service and its reception centres, camps and military bunkers in Switzerland, Austria and Germany has repeatedly been sold in the developing global secondary asylum markets. The company has been sold three times since 2005 to private equity companies. London-based private equity firm Equistone Partners Europe Ltd bought the business for an undisclosed sum in 2013. The Equistone annual report in 2013 touted the acquisition as a new opportunity with ‘promising organic and acquisitive growth potential’. Equistone currently controls two buyout funds worth close to $4 billion. The private equity firm was part of Barclays Bank until 2011. Thus the London capital markets buy and sell the management of underground bunkers for asylum seekers in Switzerland and overcrowded and unsanitary refugee camps in Austria. The business of migration and asylum is dominated by profit margins and contract prices across Europe, and it is arguably out of the control of governments and unaccountable to taxpayers who provide all of the capital for asylum markets. 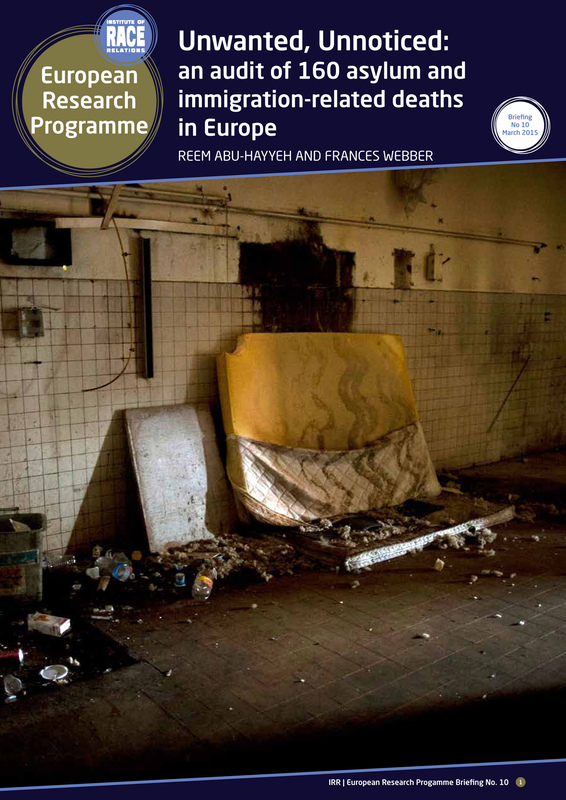 The traumatic lived experience of refugees and migrants within these markets rarely surfaces. In 2015 Europol, the criminal intelligence agency of the EU, estimated that 1,000 unaccompanied refugee children simply disappeared in the outsourced asylum markets of Sweden, and perhaps 10,000 across Europe. There were 222 refugee shelters set on fire in Germany in 2015. In fact, the housing contracts are subcontracted by G4S to housing providers such as Jomast Development in the north-east, but G4S maintains overall responsibility. Georg Menz, ‘The neo-liberal state and the growth of the migration industry’ in Thomas Gammeltoft-Hansen and Ninna Nyberg Sørensen, The Migration Industry and the Commercialization of International Migration (London, Routledge, 2013), p. 118. Dexter Whitfield, Global Auction of Public Assets: Public sector alternatives to the infrastructure market and Public Private Partnerships (Nottingham, Spokesman Books, 2010). This book was probably the first to demonstrate the existence of international secondary markets in privatised public services. In Finland, several politicians were also involved with asylym seeker business. Due to many private health care companies registered in tax havens we don’t know, how many politicians make money out of that business. Same robbing of EU citizens is happening also in the privatized energy market, especially in monopolistic energy transfer market. …And how for all the pretend concern from the ‘left liberal’ white middle class for refugees and immigrants, 7 out of 8 refugees end up in poverty stricken run down areas where people are already struggling for housing, jobs, school places and the like. Middle class liberals seem concerned, as long as it doesn’t affect them personally.